Board Rules are a great way to ensure you're following the rules of certain Group Boards in Pinterest. 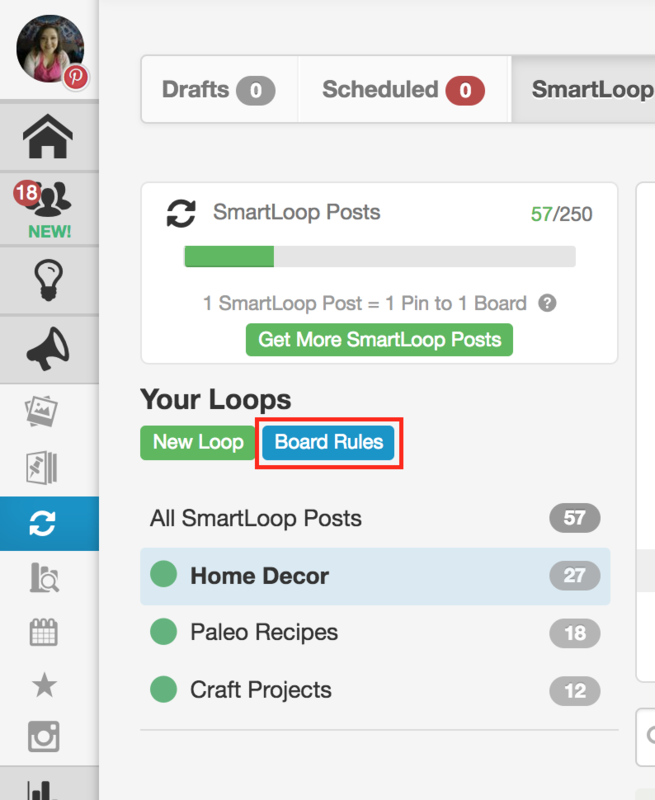 Setting up Board Rules in SmartLoop is easy! And you’ll never have to worry about your SmartLoop breaking the rules - even if the Group Board is included in more than one Loop. Note: Group Board rules you set up in SmartLoop only apply to Pins managed and published by SmartLoop. They will not apply to Pins you schedule outside SmartLoop. Helpful tip: Remember, these rules will stay in place for the Board no matter how many Loops it appears in!